50 years of DAF production in Belgium - DAF Trucks N.V.
DAF Trucks in Oevel (Westerlo, Belgium) opened its cab factory 50 years ago. Nowadays DAF Trucks Vlaanderen N.V. is a leading and ultra-modern production facility that has seen continuous investments of which around € 600 million in the last 15 years. 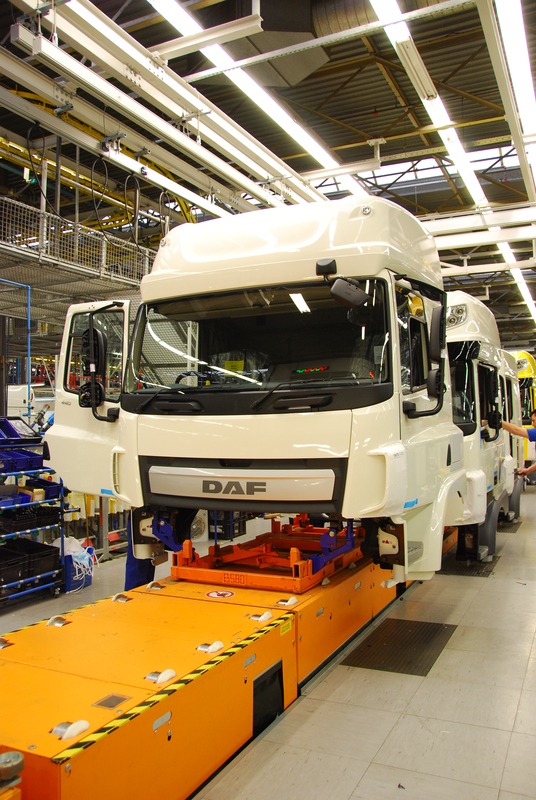 More than 2,200 employees currently produce 200 cabs and 450 axles a day for the popular DAF CF and XF trucks. The fact that DAF in Westerlo is now investing € 100 million in a completely new cab paint shop demonstrates the truck manufacturer’s confidence in the future of its production facilities in Belgium. 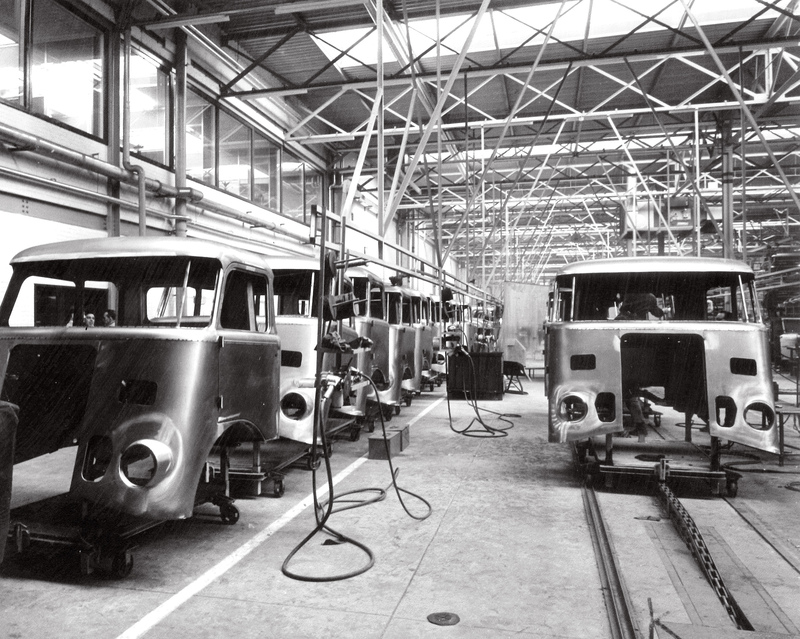 In order to meet the increasing demand for DAF trucks, the production facilities needed to be extended in the mid-1960s. Although DAF had enough space on its site in Eindhoven, there was a shortage of workers in the area. DAF therefore turned its attention towards the Kempen region in Belgium, where the closure of mines and regional diamond polishing factories had created a large potential workforce. 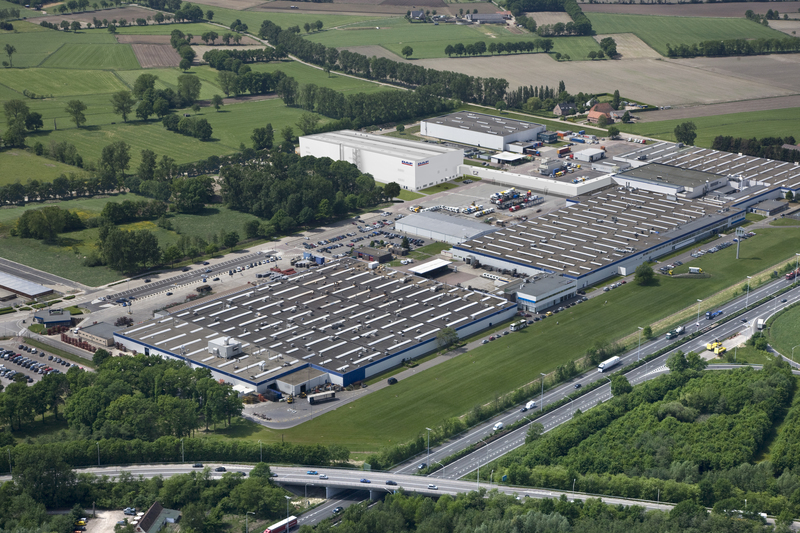 A site covering 40,000 m2 along the A13 highway at Oevel was acquired, representing an investment of BEF 90 million. The purchase contract was signed the day before Christmas 1964. 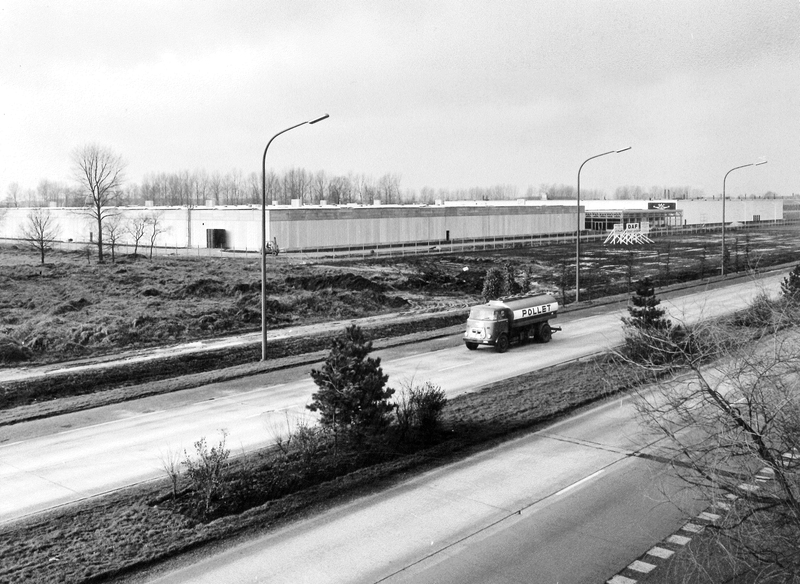 Construction of a 12,000 m2 factory began almost immediately, to be ready for operation in the first half of 1966. 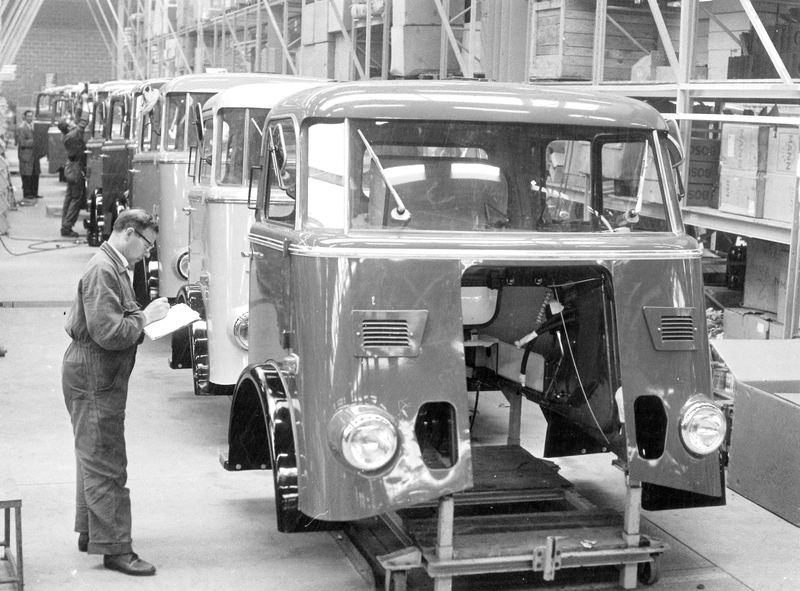 Since 1966, trucks from DAF are for an important part ‘Made in Belgium’, as the first four cabs came off the production line on 5 May of that year. The production increased rapidly, as evidenced by the fact that already on 5 July, the 1,000th cab was transported from Oevel to Eindhoven. On 26 August, DAF Vlaanderen proudly reported that it was already able to produce ‘any type of cab’. In the meantime, the new paint shop was already running at full speed. After two impressive Müller presses were relocated from Eindhoven to Belgium on 1 December – a job that took two months – the factory finally became genuinely ‘self-supporting’. Just a few months later, DAF decided to expand the cab factory preparing for the introduction of a whole new generation of trucks with revolutionary tilting cab in 1968. 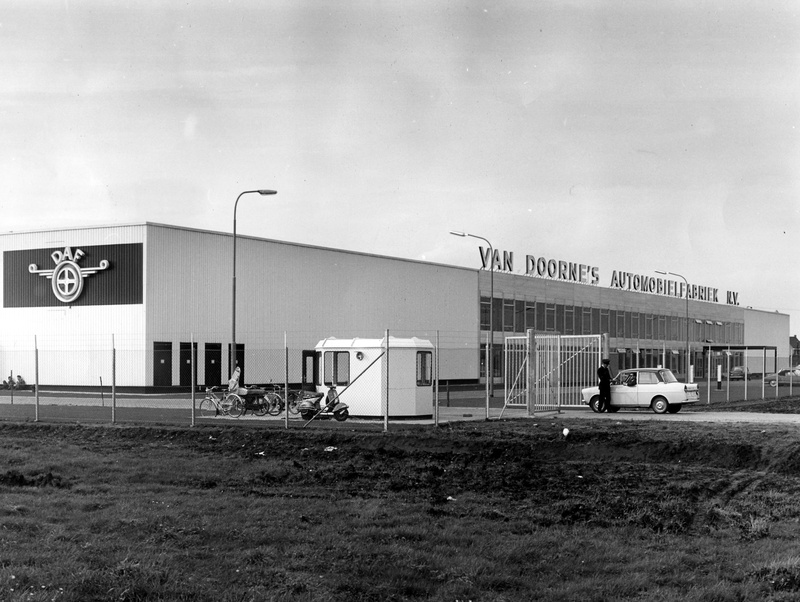 The high quality of the cabs built by DAF Vlaanderen was the reason why the fast-growing DAF company also moved the axle factory from Eindhoven to Westerlo in 1971. A new 13,000 m2factory was added to the existing production line, increasing the length of the façade along the motorway to an impressive 380 metres. The number of employees gradually rose towards 1,000. 1985 saw further massive investment in DAF Vlaanderen. For painting cabs a completely new factory was realized, at that time the most environmentally friendly in Europe. The axle factory also witnessed significant innovation less than three years later, in order to guarantee highest quality and performance of the axles. Because these are developed and manufactured in-house, DAF axles are always tailored exactly to the individual vehicle type for maximum efficiency. 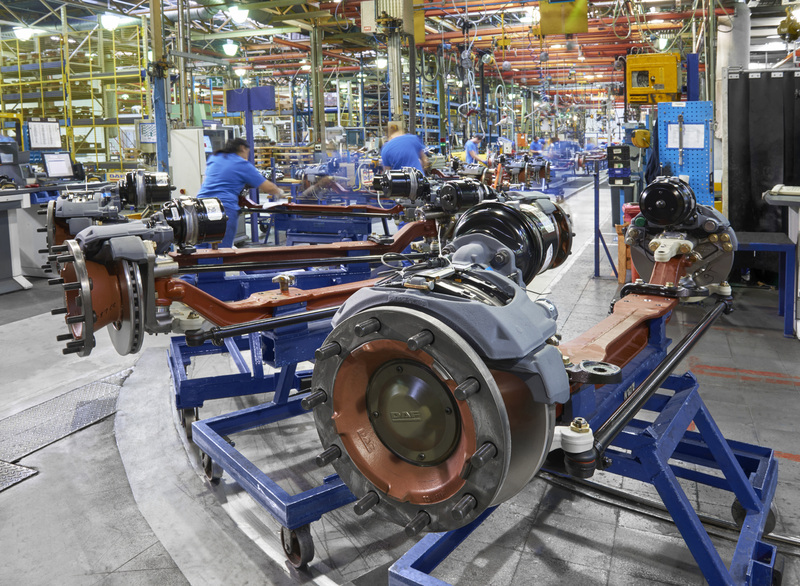 Investment in DAF's axle and cab factory in Westerlo continued in the new millennium, particularly for the new generation of Euro 6 vehicles that was launched in 2013. 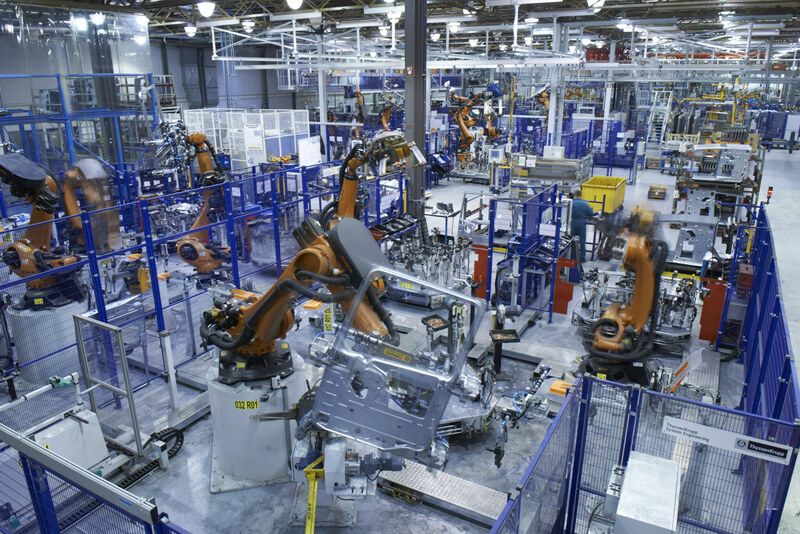 Production of the ‘cab bodies was largely robotised, further improving quality and working conditions for the employees. For the same reasons, the production area for the ground breaking Super Space Cabs also received a complete overhaul. 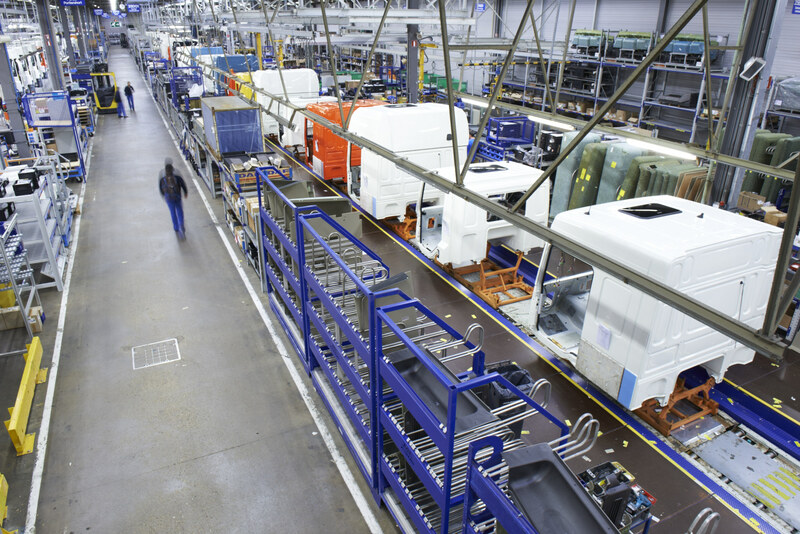 Over the last 15 years, DAF Trucks has invested some € 600 million in its axle and cab factory in Westerlo, which delivered its two-millionth axle in 2011 and its one-millionth cab in 2014. 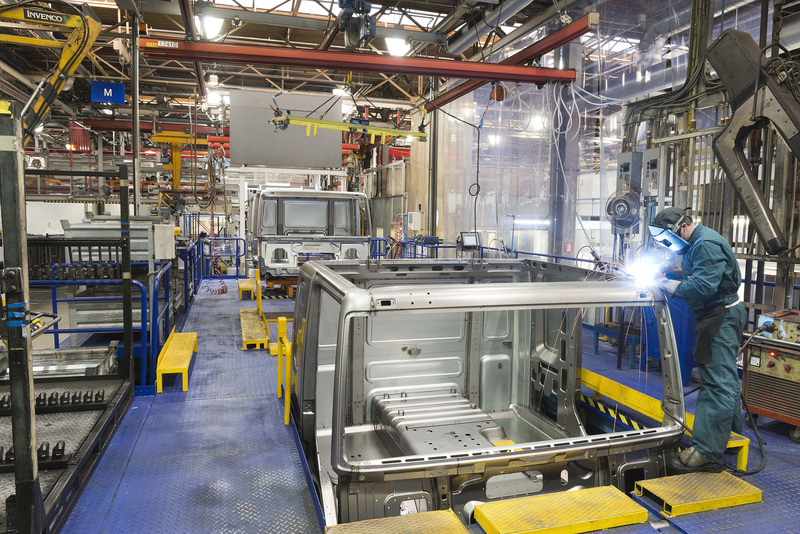 In 2015, construction of a completely new cab paint shop began. This will be the most modern facility of its kind in Europe and will increase production capacity of the cab factory by 50%. The new cab paint shop will play an important role in the further growth of DAF, in Europe and beyond. DAF Vlaanderen produces axles and cabs ‘sequential’ in accordance with the ’just-in-time’ principle the same as all other DAF factories. This means that cabs and axles are delivered to the DAF assembly plant in Eindhoven and to Leyland Trucks in Great Britain at exactly the right moment and in the right sequence, based on customer orders. 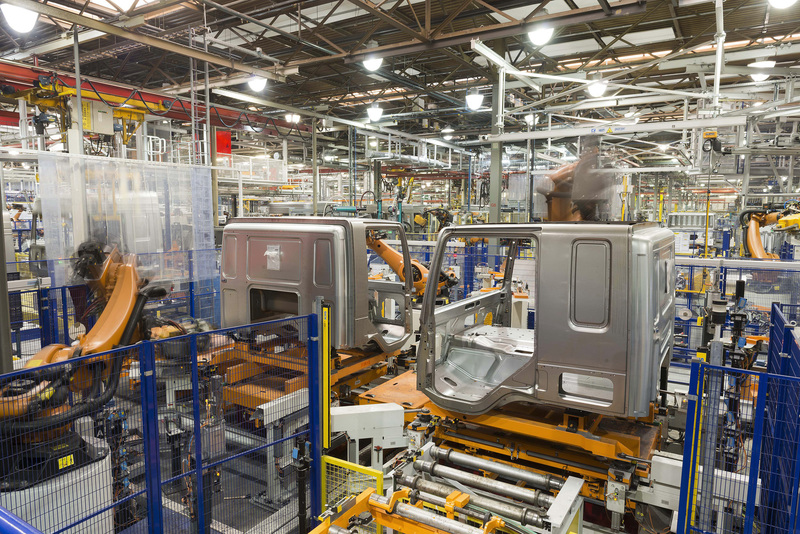 The PACCAR Production System assumes that there is always room for further improvement and that employees know like no one else how their jobs can be done even better, more intelligently and more efficiently. "The fact that we are now celebrating 50 years of DAF production in Belgium is a wonderful recognition of our more than 2,200 employees," said Harrie Schippers, president of DAF Trucks N.V. "Thanks to their commitment and dedication, we are able to build trucks that lead the market in terms of reliability, comfort and quality. With our continuous investments in DAF Trucks Vlaanderen, DAF demonstrates its confidence in the future of its plant in Belgium."